For a modern and straightforward business outline presentation, Marketing Plan free Powerpoint Template is your best choice for your project. This template will capture the audience’s attention, so distractions and daydreaming won’t happen. Other presentations that are black and white are boring making it easier to daydream, while this one is colorful to enhance the audience. As a result, the Powerpoint template was created with colors to appeal the listeners visually. 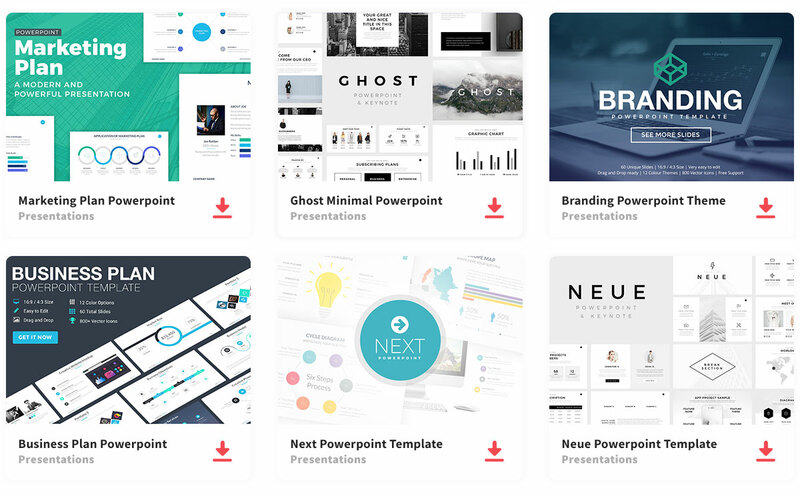 This Powerpoint template contains 26 simple slide layouts that are easy to customize, in addition to, being to arrange them in an unlimited amount of ways. You can easily edit the color, texts, add images, and infographics, just by dragging and dropping text boxes and pictures you can organize your information however you like. This template comes with five pre-made colors which are: emerald, orange, pink, red, and yellow. The most important thing is that you will have an impressive presentation that looks clean and organized.